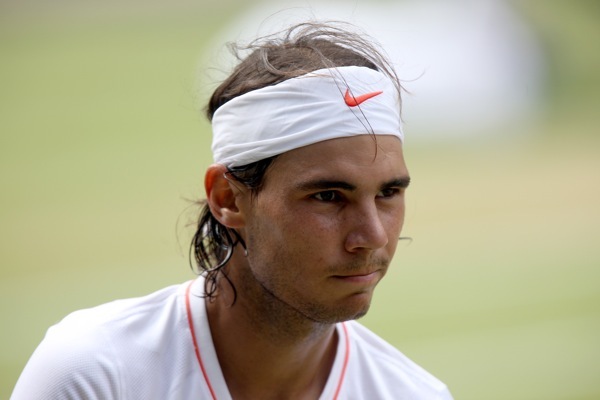 Wimbledon champion Rafael Nadal has become a shareholder in Real Mallorca in an attempt to assist the cash-strapped club – they are struggling with debts reported to be around €85million. Nadal is a massive Real Madrid fan but as he was born on the island of Majorca, Real Mallorca is his local club by birth. 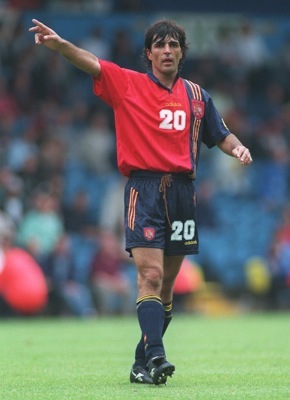 “It’s an honour to be able to help Real Mallorca, I will help in any way I can,” said Nadal. A group headed by former coach Llorenc Serra Ferrer became majority shareholders last month and installed Denmark legend Michael Laudrup as first-team coach. 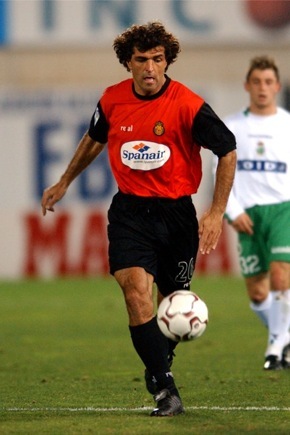 Nadal’s uncle, former Spain stalwart Miguel Angel Nadal (see photos below), was then appointed as Laudrup’s henchman, returning to the club where he began his senior playing career, in 1986. Rafael Nadal will be in Johannesburg’s Soccer City Stadium on Sunday to watch the World Cup final between Spain and Holland.